las vegas – Design Your Lifestyle. Join Peter Salerno Inc. at KBIS 2016: January 19-21, 2016! 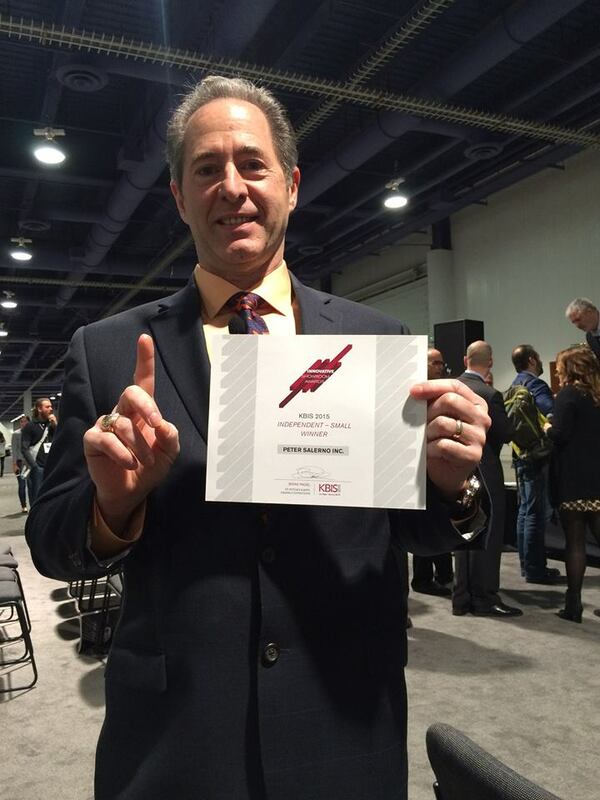 January 2016 January 2016 Peter Salerno, Inc.
KBIS 2016 Promises to be The Biggest Ever! Are you signed up to attend KBIS 2016? If you are a design professional or kitchen and bath industry professional, you simply cannot afford to miss what will be the most influential North American kitchen and bath industry show of the year! 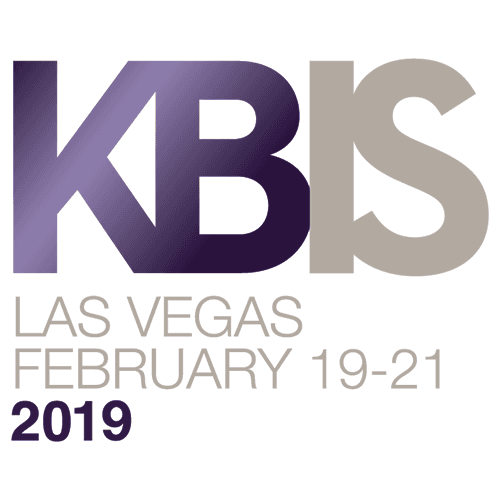 Taking place January 19-21, 2016, in the Las Vegas Convention Center (Las Vegas, NV), KBIS 2016 will serve as a platform for over 500 leading brands across TWO halls, including 40 new companies for this year’s show! You can see a list of exhibitors at this year’s KBIS by clicking here. If you’re interested in seeing some of the very best kitchen and bath designs of the last year, then you cannot afford to miss the NKBA Design Competition and Industry Awards. The awards are scheduled for the night before KBIS 2016 – Monday, January 18th, at the Marquee Nightclub at The Cosmopolitan of Las Vegas at 6:00 p.m. Tickets are $99 and more information is available here. You’ll get the chance to see (and meet) many of today’s top kitchen and bath designers, trendsetters and innovators, including Peter Salerno Inc. – winner of 32 national design awards since 2002. Take it from Peter Salerno himself – there is no better networking opportunity for serious kitchen and bath designers and industry professionals than the KBIS conference. KBIS is part of the massive Design and Construction Week in Las Vegas, which was attended by over 132,000 people in 2015. KBIS also features the renowned Voices from the Industry series, which affords attendees the opportunity to listen to (and learn from) the foremost names in the kitchen and bath design industry. Simply put, there is no better learning and networking opportunity for kitchen and bath designers this year than KBIS 2016. It’s right around the corner, but registration for KBIS 2016 is still open – don’t miss out on this golden opportunity! Peter Salerno Inc. Invites You to KBIS 2016! Are YOU Going to KBIS 2016? You Should Be! The 2016 Kitchen and Bath Industry Show (KBIS) is quickly becoming the most important, prestigious annual kitchen and bath design conference you can attend – so if you’re not signed up, why not?! As announced by the NKBA, KBIS is “back and bigger than ever” for 2016. KBIS is one of the crown jewels of Design & Construction Week, a massive event that was attended by over 132,000 industry professionals in 2015. Much of that can be attributed to the prestige and drawing power of KBIS. KBIS 2016 is scheduled for January 19-21, 2016, at the Las Vegas Convention Center in Las Vegas, NV. This year’s event is bigger than ever, spanning across two halls and featuring over 500 leading brands from the kitchen and bath design industry. It’s the perfect opportunity to check out the latest innovations, technology, and design trends from the biggest, hottest names in the design industry. Of course, this means your networking opportunities at KBIS 2016 are unprecedented. Wise designers know that no one can do it alone, and KBIS affords you the ability to find subcontractors, design specialists, and co-collaborators on a national (and often international) scale. It’s no wonder that Peter Salerno Inc. makes KBIS an annual priority. “If you want to be current, be inspired, and be influential, you absolutely have to be at this conference,” Peter Salerno Inc. said in a recent statement to its official blog. And Peter Salerno should know! Since 2002, Peter Salerno Inc. has been honored with an unprecedented 32 national design awards – including the 2012 Best Overall Kitchen, 2014 Best Small Kitchen and 2015 Most Innovative (Small) Showroom awards from the NKBA at KBIS conferences. Peter Salerno and his team of custom kitchen and bath design professionals went to KBIS 2015 to share their expertise with other designers, see the future of design firsthand, and soak in the experience of North America’s greatest design conference. Receiving two awards at the conference as well – that was an honor and a thrill. Peter Salerno Inc. is proud to announce its showroom has been named Best Independent Small Showroom at the KBIS 2015 Innovative Showroom Awards. The nomination process was conducted by public vote, meaning this honor was awarded to the Peter Salerno Inc. showroom not only by industry professionals, but by the public as well. As such, Peter Salerno and his team don’t just want to thank the NKBA and the esteemed judges of the 2015 KBIS Innovative Showroom Awards – they want to thank you as well! During the KBIS 2015 conference, Peter Salerno Inc. was also the recipient of a national 2nd place award for Best Large Kitchen by the National Kitchen and Bath Association (NKBA). This marked the unprecedented 22nd NKBA (and KBIS) national design award presented to Peter Salerno Inc. since 2002, and the 12th over the last decade. 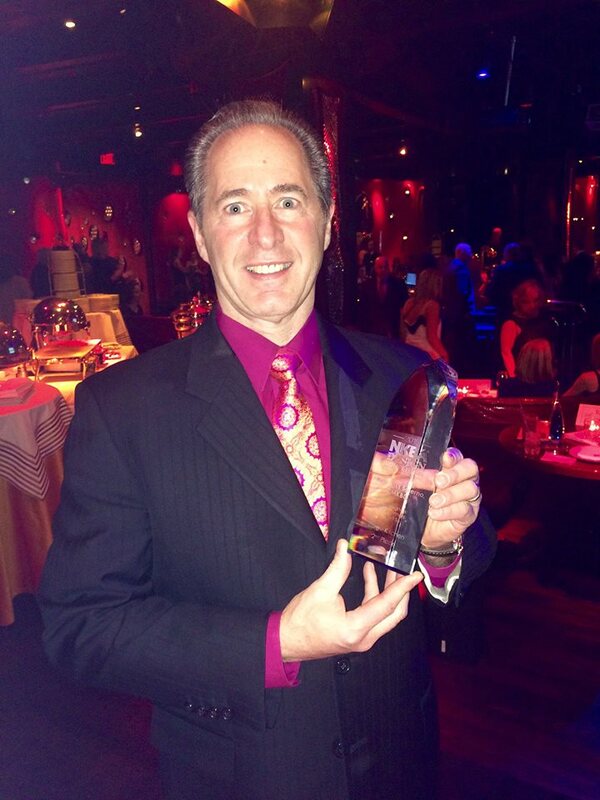 Peter Salerno with the 2015 2nd place national Best Large Kitchen award from the NKBA. 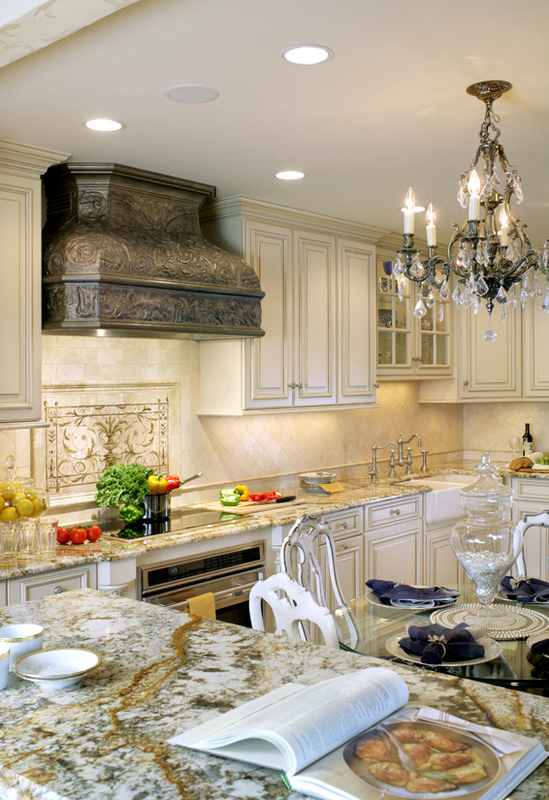 In all, Peter Salerno Inc. has received 28 national design awards since 2002, from such outstanding industry names as the NKBA, KBIS, HGTV, and Signature Kitchens & Baths magazine. Peter is extremely proud that 3 of those awards (2012 HGTV People’s Choice, 2014 HGTV People’s Choice, and 2015 KBIS Innovative Showroom) involved a public vote, and is grateful for your support! 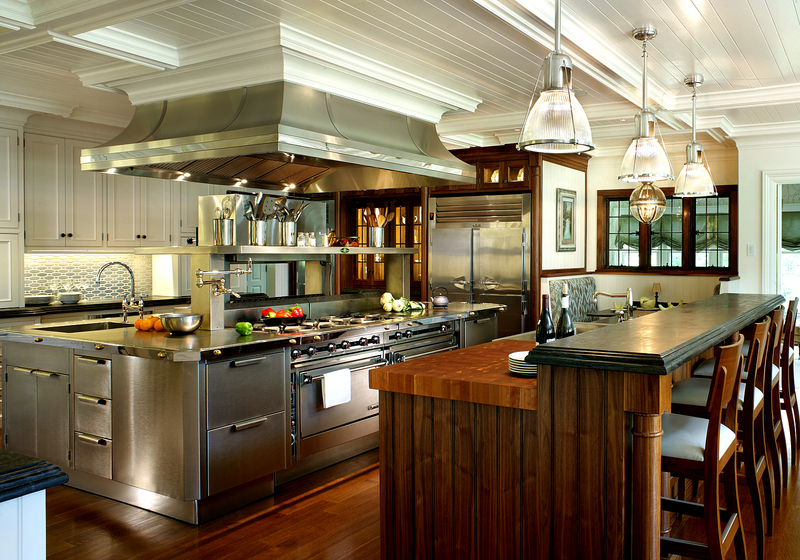 For a glimpse at many of Peter Salerno’s award-winning custom kitchen and bath designs, including his most recent award winners, visit the updated Peter Salerno Inc. portfolio on his official website. If you’d like a sneak peek at Peter Salerno Inc.’s 2015 award-winning Most Innovative Showroom, then click here for a preview! To schedule a showroom visit and/or consultation with Peter Salerno Inc., please call their offices at (201) 251-6608 or fill out the form below. 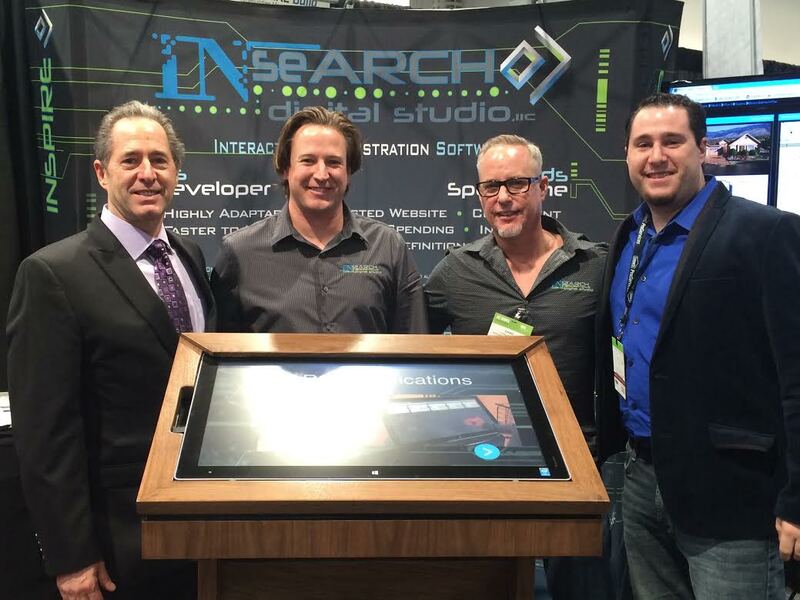 Peter Salerno (L), Anthony Salerno (R), and the team from INseARCH Design Studio at KBIS 2015. KBIS 2015 has proven to be every bit as amazing as expected. Peter Salerno and the Peter Salerno Inc. team are soaking in all the sights, sounds, expert information, world-class vendors and gorgeous custom designs that KBIS 2015 has to offer. There’s simply not enough time to see everything, but we’re doing our best! One of Peter Salerno’s favorite vendor exhibits thus far at KBIS 2015 has been INseARCH Design Studio, a fantastic firm out of Reno, Nevada. INseARCH creates immersive, interactive applications to help businesses grow, thrive, and better display their products. INseARCH Digital Studio is a full service 3-D visualization firm committed to enhancing the experience of purchasing a home, a lifestyle, a dream. From first timers to veteran home buyers, our INNOVATIVE software allows for real time visualization from anywhere, day or night. Peter Salerno and his team were impressed not only with INseARCH’s outstanding software, but their commitment to affordable products and enhancing their clients’ businesses. The INseARCH website features a large, varied portfolio as well as interactive demonstration software. The official Peter Salerno Inc. blog will have more information regarding INseARCH Design Studio in the near future. In the meantime, stay tuned for more updates, exciting news, and sights from KBIS 2015, courtesy of Peter Salerno himself! 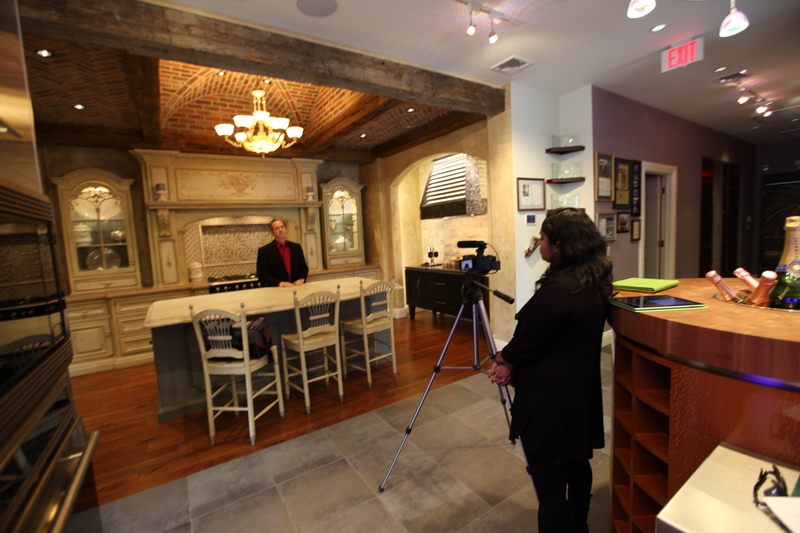 The NKBA’s Ash Sukumar films Peter Salerno in his showroom for an upcoming KBIS presentation. Peter Salerno recently lent his 30 years of experience as a certified master kitchen and bath designer (CMKBD) to the NKBA in the production of a new video for NKBA University. Now, according to the excellent NKBA Connect blog, that video of Peter Salerno will be featured as a Center Stage Video at the KBIS 2015 convention in Las Vegas. The video will be part of a presentation entitled “The Importance of NKBA Certification”, taking place on Tuesday, January 20th from 3:45-4:15 p.m. at KBIS 2015’s Center Stage. The interactive Center Stage presentation will be perfect for students, young designers, and experienced designers looking to take their credentials to the next level. Peter Salerno knows first-hand about the importance of NKBA certification, and was eager to share his expertise (and his story) with Andrew Mackenzie and Ash Sukumar of the NKBA. Andrew will be part of the presentation team at KBIS, alongside fellow NKBA experts Johanna Baars and Helen Conroy. “Being NKBA certified lends instant credibility to my business,” Peter said in his recent NKBA interview. And he should know – over the last 10 years, Peter Salerno Inc. is the most award-winning kitchen and bath design firm in North America. So, have you registered for KBIS 2015 yet? If not, WHY not? With the outstanding presentations at KBIS Center Stage and beyond (Peter Salerno will also be a part of KBIS NeXT), this is THE year to attend KBIS in Las Vegas.